A talented cook who is passion driven. Has worked for all types of catering and food outlets starting from chain restaurants, hotels and even retirement homes. Been born and raised in India. Have been working in different countries learning to cook from the best of the chefs. Vighnesh is also known as Victor. Residing in Canada, Vighnesh has chosen Mississauga, Ontario. 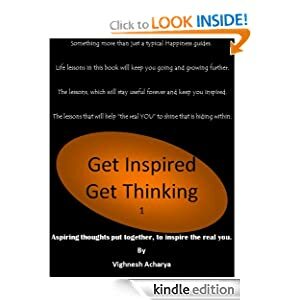 A soon to be an Author of inspiring fiction “how to write a book” and a non fiction book about improving happiness in your routine lifestyle. Most of all a good friend who loves travelling and meeting new people. At the age of 28 Vighnesh has travelled 5 countries and seeking friendship for exchanging knowledge of cultures around the world, as well as personal beliefs. like wise. bt ur id speaks better of that. “couldrons n cupcakes”. nice. man, ur blog is awesome. I never had enough time to go through whole of ur blog, so I hadnt thought of following you. but today after going through several of ur posts, I decided i am gonna follow u! Rt nw, I am going through a rough phase of life, and ur posts are exactly the right material to keep me inspired throughout.. 🙂 keep writing! thank u for ur words man. your words inspire me to write. oh wow. really? thanks man. this means a lot to me.